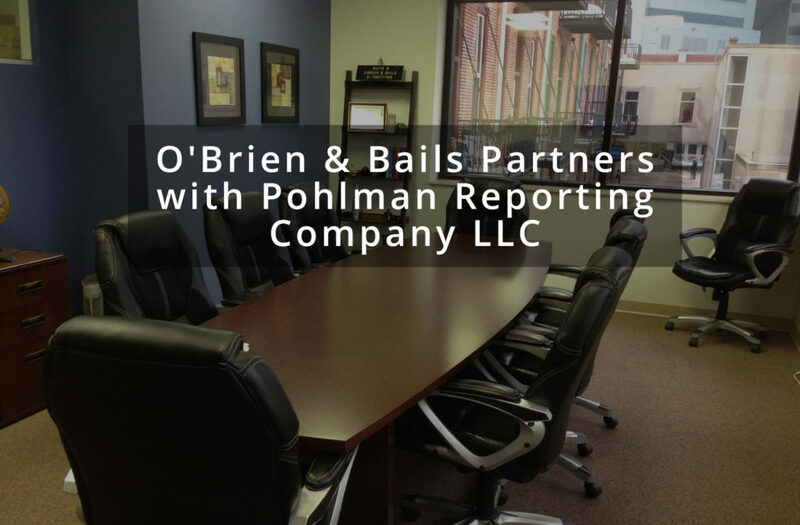 O’Brien & Bails, headquartered in Kalamazoo, Michigan, is pleased to announce that the firm has partnered with Pohlman Reporting Company LLC to enhance and expand service capabilities to clients. One of Michigan’s oldest and most reputable court reporting firms, established in 1957, O’Brien & Bails is known for quality and dependability. Their court reporting and video service coverage area is one of Michigan’s largest, with offices in 11 major cities. Web applications to improve efficiency, organization, and convenience to each case. Pohlman Reporting Company LLC, headquartered in St. Louis, Missouri, with offices in Chicago and Edwardsville, Illinois, is recognized nationwide as a leading provider of technology-driven court reporting and litigation services. The partnership provides a full-service court reporting, records retrieval, and trial services agency with 14 offices and service capabilities coast-to-coast. “As we have been working with Pohlman, we have found their staff, court reporters, and technology to be top notch. We look forward to working with the Pohlman team and are excited for the opportunity to bring their infrastructure to our clients, providing more services and a farther reach in Michigan and beyond,” said Dawn Houghton, CEO of O’Brien & Bails. Headquartered in Kalamazoo, Ml, with eleven offices throughout Michigan, O’Brien & Bails offers true 21st century approach to court reporting: Give the best service, with advanced technology, and protect our clients at all costs. Integrity, service, providing a high level of value – that’s O’Brien & Bails. To learn more about their services visit http://www.obrienandbails.com/. Headquartered in St. Louis, MO, with offices in Chicago and Edwardsville, IL, Pohlman Reporting Company is recognized nationwide as a leading provider of technology-driven court reporting and litigation services. For over 27 years, Pohlman has specialized in complex multiparty litigation by creating innovative products and customized solutions for our clients. Pohlman is committed to delivering exceptional customer service and anticipating our clients’ needs. Whether you require a talented court reporter or videographer for a deposition in an asbestos or mass tort case, MDL, or general litigation matter, Pohlman has a professional ready for your need nationwide. To learn more about PohlmanUSA and their services visit http://pohlmanusa.com/.